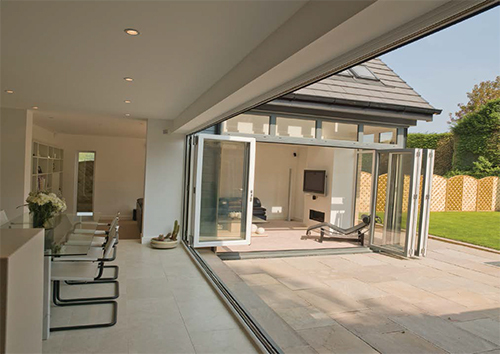 The Liniar bi-fold doors was the first fully bespoke purposed designed and engineered PVCu system made in the UK – and at Contrast Limited we believe it is still by far the best available. Energy efficient –one of the best ways any home can save energy is through installing energy efficient windows, doors and roofs. 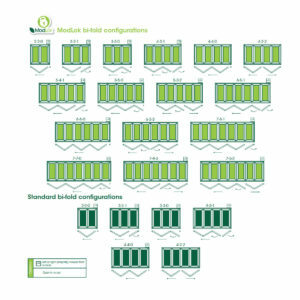 Liniar frames outperform most other leading UK brands when it comes to thermal efficiency, mainly due to their innovative multi-chambered profile designs. 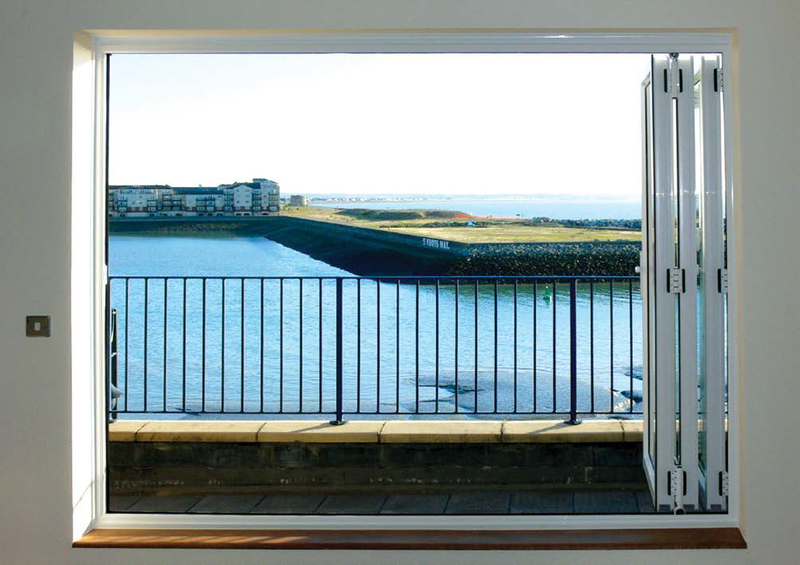 The standard Liniar bi-fold door can achieve a U- value of 1.3 W/m2K when fitted with cost effective double glazed units. For even greater results, the Liniar Modlok range can be fitted with triple glazed glazing to achieve an impressive U- value of 1.0 W/m2K. 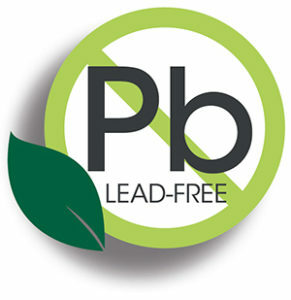 Lead-free – better for the environment – All Liniar profiles are 100% lead-free PVCu. 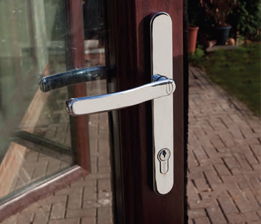 We no longer have lead in our petrol or paint, so why have lead in our PVCu frames? Purpose designed – Contrast Limited manufacture the Liniar bi-fold door from profiles designed to solely be used for this purpose, and not from “standard” door profiles adapted to become a bi-fold door like most others you’ll find on the market. 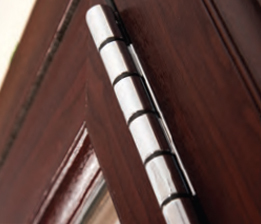 The decorative sculptured PVCu sections are slimmer than a standard PVCu door profile meaning more glass area, particular relevant when you consider these doors can be manufactured up to 7 panels wide. 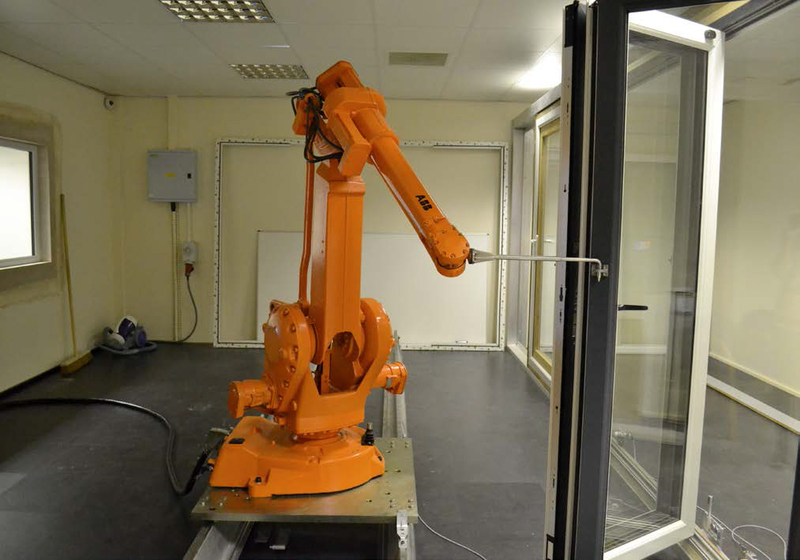 The system has been rigorously tested to make sure it exceeds the appropriate British Standards for weather performance, and is subjected to a regime of robot cycle testing in Liniar’s own purpose-built laboratory, making sure all the mechanical parts will stand up to the repeated operational use. 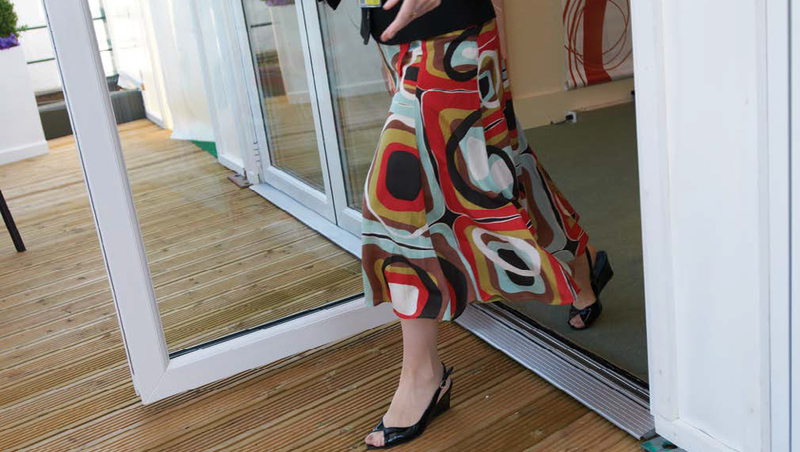 Plenty of choice – the Liniar bi-fold door is available in a wide range of colours and wood finishes. You can choose from numerous opening configurations, between two and seven panes. 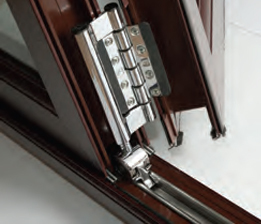 The shootbolt locking mechanism in each Liniar bi-fold door ensures the door is bolted firmly into a stainless steel track, and master doors are fitted with a high security hook lock. 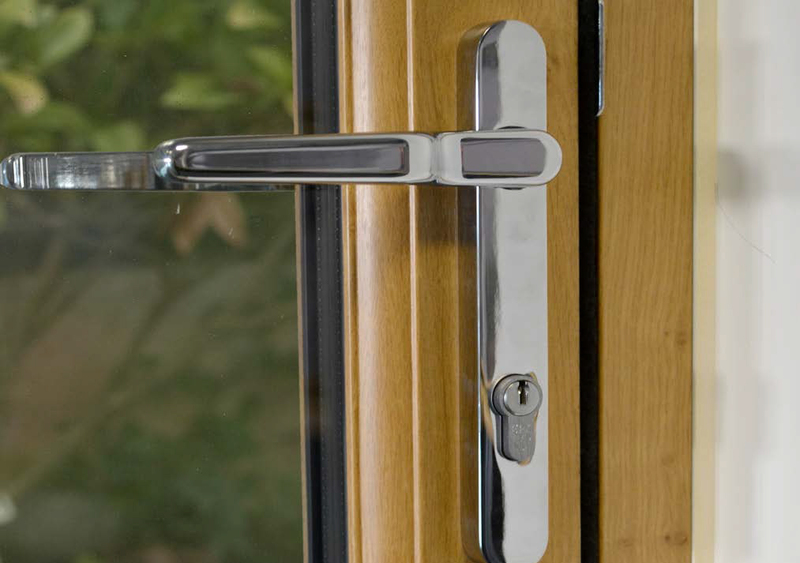 Add to this built-in anti-lift features and high security cylinders, you have a PVCu bi-fold door that is just as secure as an aluminium of timber alternative. 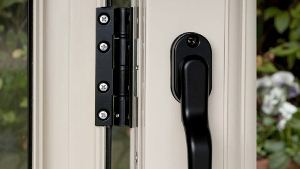 Slim hinges are fitted for an attractive, sleek appearance, but also enhance security as they cannot be unscrewed from the outside. 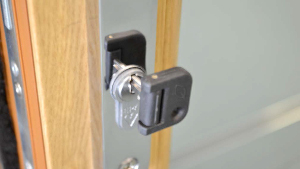 Even the keys have carefully been considered – they fold, meaning you won’t damage the doors if there are stacked back with the keys left in. 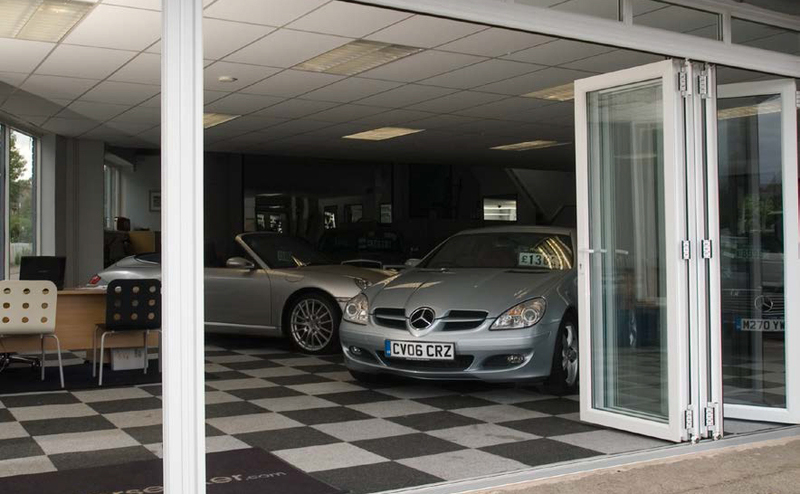 The unique Modlok specification means you can install a PVCu bi-fold door in a commercial application and have peace of mind that product is fit for purpose. 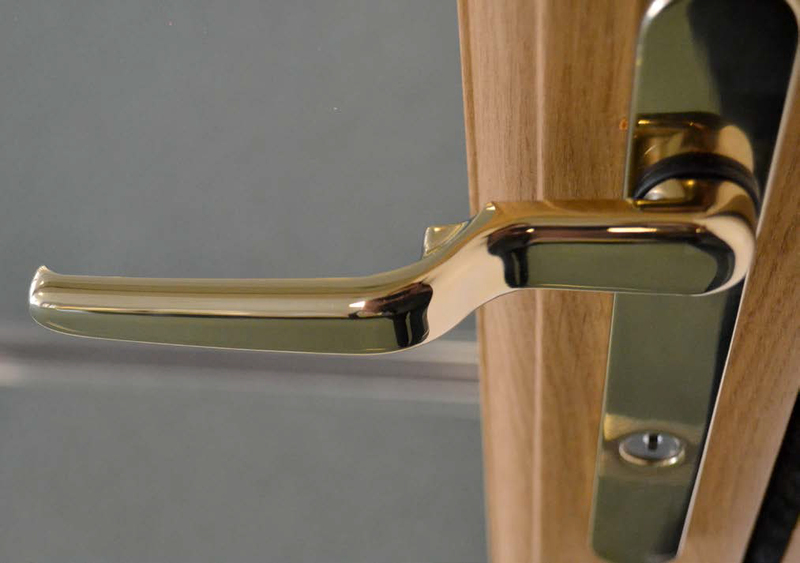 The master door handle has been cleverly designed. 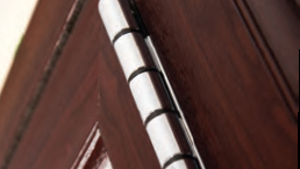 It is shaped based on the size and style of the door profile, meaning when doors are folded back they stack flat as the handle neatly fits around the adjacent door. Furniture colours are gold, chrome, black and white. 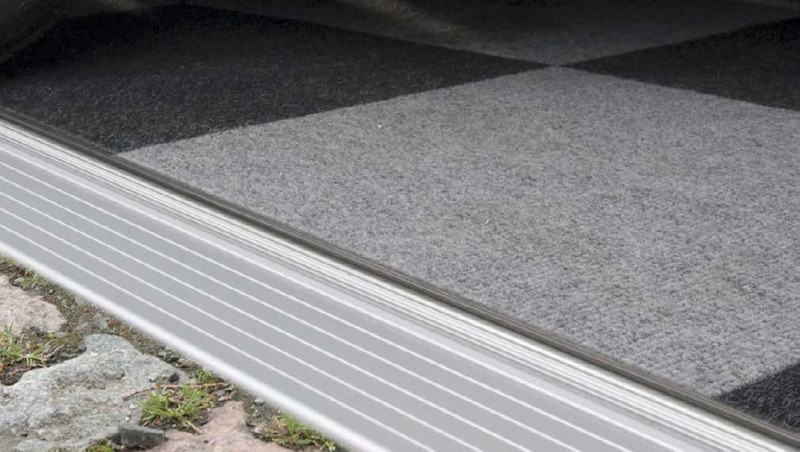 Threshold options – see PDF’s for sectional drawings of options available. Two options are shown here, further proof of Liniar’s innovative designs.